As awesome as the App Store can be for gamers, it can be a very cruel place for those making the games. There are so many new releases every week and such a massive stockpile of evergreen titles that a lot of truly excellent titles get lost in the shuffle. Yet, in many of those cases, the developer keeps on updating and adding to those games, improving the experience even if it’s just for a small group of users. I have to respect that kind of passion and care, and it’s one of my favorite things about this little hobby we all share. Combat Monsters [Free], from Great Little War Game [$4.99] developer Rubicon, is one of those cases. It’s a great game that for whatever reason didn’t quite catch on the way it deserved to, but the developer keeps improving it anyway. The latest expansion, which hit the App Store yesterday, is a real doozy. 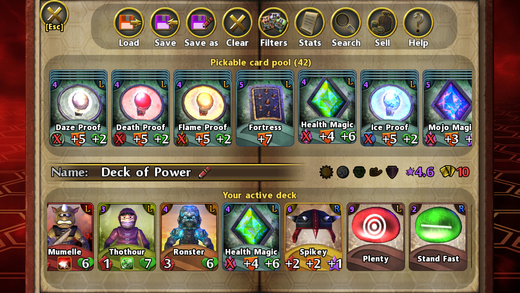 It contains 400 new cards, bringing the game’s total to over 3,000. Those new cards include the freshly-added Goblin set of monsters, tons of new weapons, armor, shields, and runes, and more than 120 new spells. Naturally, these new cards bring new abilities and afflictions to deal with, so there’s a lot of new stuff to learn here. Now, that many new cards could add up to an expansion alone, but Rubicon didn’t stop there. They also added a bunch of new co-op modes, for those who prefer to fight alongside their friends instead of against them. 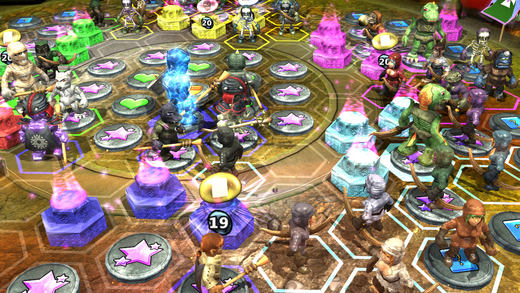 Two heroes work together to take on either two or four AI opponents. You can enjoy this mode online, locally by passing the device around, or even just on your own with two heroes under your control. There are new single-player and online campaigns to run through in co-op, with lots of nice rewards to earn by clearing them. Other changes include balance tweaks, adjusting the payouts and monetization to tilt more in the player’s favor, and improved social features. If you’re looking to fill your Officially Authorized Update Mondays Bingo Card out, there are some bug fixes here, too. Overall, this is the best Combat Monsters has ever been, so if you haven’t given it a try yet, there’s no better time.